This will be a somewhat abbreviated report, as Biritch the Russian Blue and I will be overseas for much of the period for a spot of R & R and a little bridge. Nonetheless, a little bit to bring you up to date. This period has definitely belonged to NZ Womens’ International Carol Richardson. 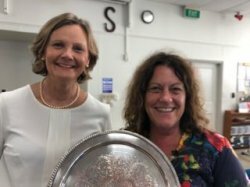 Back in February, she won Franklin’s Swiss Pairs with son-in-law to be Matt Brown, and followed it up four days later by taking Auckland’s Waitangi Day event with daughter Andi Boughey. 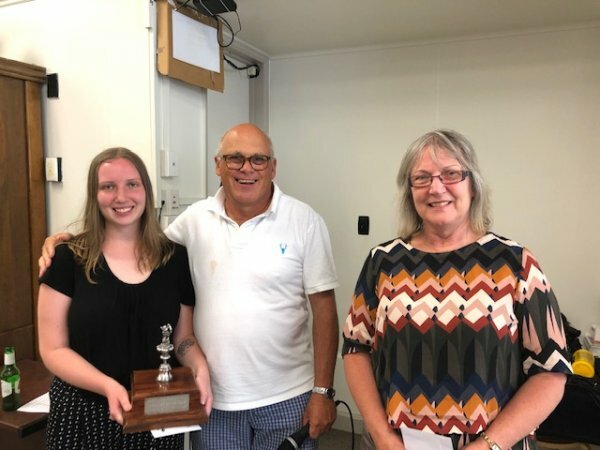 And then in March she teamed up with Andrew Tarbutt to win Papakura’s Open event, where the Intermediate winners were Caroline Griffin and Darren Old. Auckland’s Bell Taylor event commemorates two former New Zealand bridge greats, namely Bruce Bell and Eileen Taylor. Winning overall and therefore the Bell Trophy were Herman Yuan and Andrew Liu, while Tracey Lewis and Sue Spurway warmed up for the popular Gold Coast Congress by walking off with the Eileen Taylor Trophy. 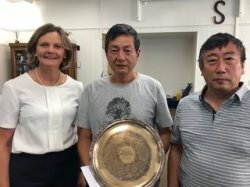 Going North, Gary Chen and Clair Miao triumphed at Orewa, and Jess Morris recorded her first tournament success, playing with Michael Whibley at East Coast Bays. 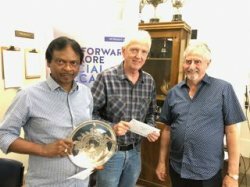 A more familiar partnership were winners at Howick, namely Patrick Carter and Julie Atkinson, and Prem Soundranayagam teamed up with mentor GeO Tislevoll at Auckland’s Thursday tournament sponsored by St Vincent’s. Finally,at Mt Albert, Steve Moore and Graeme Duhs won the Intermediate Pairs, averaging over 63% in doing so while Birgit Cameron and Suzy Halls came out on top in the Junior Pairs held on the same day. Here is a hand from the Howick tournament which requires declarer to do something that we strongly advise beginners not to do! Thus, strangely, declarer must give South their trump trick before playing on diamonds. South cannot successfully attack spades. Once South has no more trumps, they cannot stop West setting up diamonds and using the A to return to dummy to run the suit. Of the 12 pairs who tried 6 , 5 were successful, 3 failed by one trick, and 4 by 2 tricks. 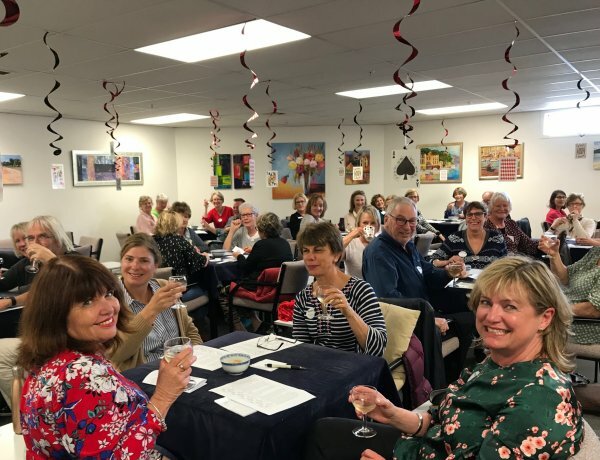 The ever-popular Friday once a month Inter-Club competition is under-way again and even more popular than before. 2019 will see 51 competing teams as compared with 47 in 2018. The growth has come in the Junior section, up by 5 to 21 with the Intermediates steady at 22 teams and Open down by one to 8. In the Junior event, Mt Albert Jane and two Royle Epsom teams got off to flying starts while Auckland Carter, Franklin and Akarana have started very well in the Open and Franklin Green, Papatoetoe and East Coast Bays in the Intermediate section. Jan France the Auckland/Northland RBM has been running Beginners Sunday Socials. This is a new initiative for ‘novice grade’ players who have recently finished lessons (within the last year or so), to meet other novice players, to play bridge, talk about bridge, have afternoon tea plus the possibility of winning a prize! The emphasis is on enjoying bridge and socialising with other relatively new bridge players. Since last September, three have been held and over 100 novice players have taken part. There will be a new set of Socials later in the year after this round of lessons. Look out for the poster which will be sent to the clubs in July.